This is a smoke-free institution. Thank you for your compliance. Nurses and doctors and other members of the health care team strive every day to provide quality patient care. We focus on patients by understanding their needs. We listen, assess and evaluate. We work together as a team focusing not only on the patient, but family members as well. We formulate individual care plans addressing each and every need. Providing quality patient care is the single most important goal for any hospital, and it’s important to note that patients need to understand that there are policies within the hospital. I was paged by the nursing staff to go to their unit to speak with a patient who wanted to smoke. I spent a great amount of time talking with a patient who was admitted after having a minor surgical procedure. I listened to her as she carefully explained that she wanted to smoke. I listened and was empathetic. She tried very hard to convince me to allow her to smoke. As much as I felt for the patient, the patient was not allowed to smoke. The hospital is a smoke-free institution. While she was only admitted overnight, I explained to her that the hospital is a smoke-free institution, and she cannot smoke inside the hospital or anywhere on the hospital grounds. I informed her that her doctor ordered her a nicotine patch, which she refused. Patient X is a pack a day smoker and before she entered the hospital, she was under the impression that she would be allowed to smoke while she was a patient. She had no regard for the rules, she only knew, she wanted to smoke. Understanding the addiction to nicotine, there was a tobacco abatement product ordered. She consistently refused, and she had no interest in any smoking cessation program. It was a long night. Supporting the nursing staff, I continuously made rounds and talked and listened to patient X. I understood her needs, but she had a difficult time understanding the hospital policy. The hospital provides a safe and secure environment. Health risks to people who smoke, including possible adverse effects on care, treatment, and services. Health risks of passive smoking. Before patients are admitted to the hospital, they need to find out in advance if the hospital is a smoke-free institution. Prior to hospitalization, doctors need to have a conversation with their patients to let them know if a tobacco abatement product will be ordered during their hospitalization, and how their needs will be met. 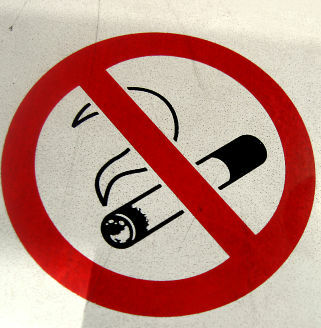 Here is a list of smoke-free hospitals.